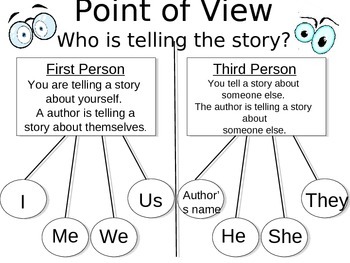 I use this anchor chart in my classroom whenever I am working with my students on point of view. This is something that I copy and have them glue in their interactive notebooks. I also blow this up on the poster making machine and use this on my anchor wall.